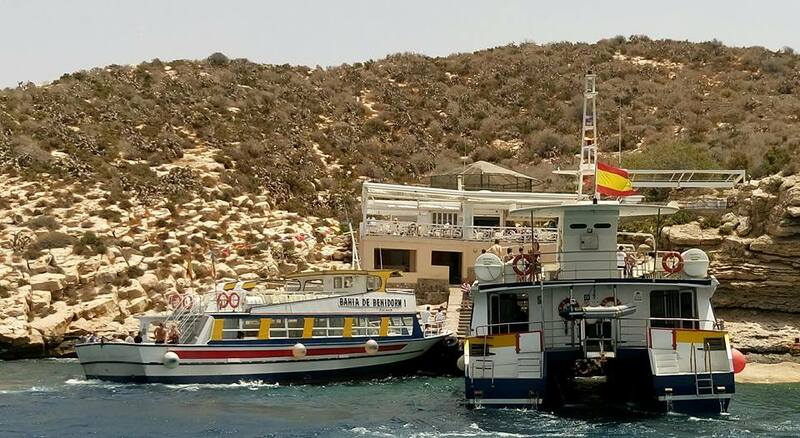 In 1834, the island served as a refuge for various families from Benidorm and neighbouring town Villajoyosa, who were escaping an outbreak of cholera. Centuries earlier, it was used by pirates as a base for the attacks of the coastal towns. 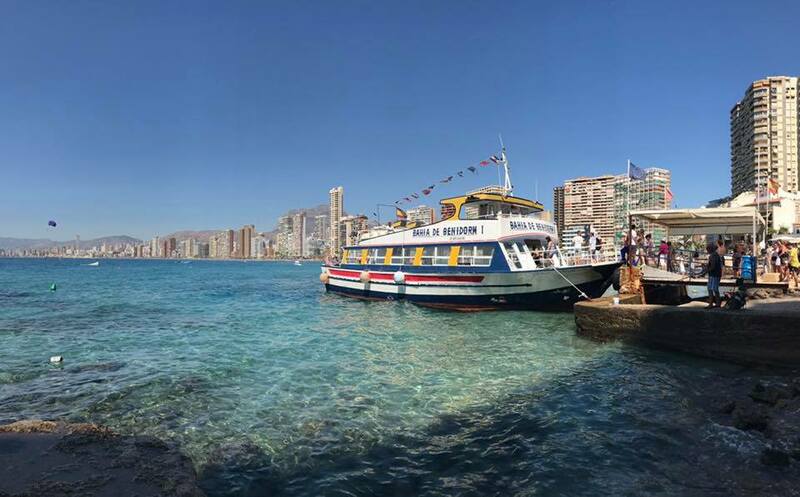 There are several local legends which try to explain the origins of the island, the most popular of which claims that a gentleman from Benidorm fell in love with a beautiful girl, but wasn’t brave enough to pursue her. Everyday he passed by the village fountain to secretly watch her collect water but one day she didn’t show up. He discovered that she had become seriously ill. At that time there lived a wizard on top of the Puig Campana mountain behind Benidorm. The gentleman climbed the mountain to ask the wizard for a cure, but the wizard told him there was no cure and the girl would surely die that night. Realising that he had wasted precious time that could have been spent with the girl, out of despair, the gentleman struck the mountain top with his sword, breaking a fragment of it, which fell into the sea and became the island. The gap left in the mountain meant that the sun would shine a few extra minutes onto Benidorm, so he would have time to return to be with his beloved girl for her last breath. 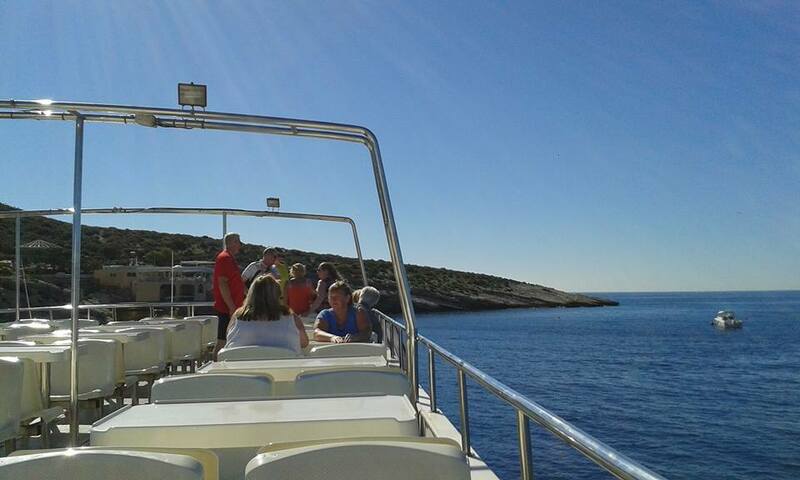 Boats leave hourly to and from the island and run from Monday to Saturday (weather permitting). 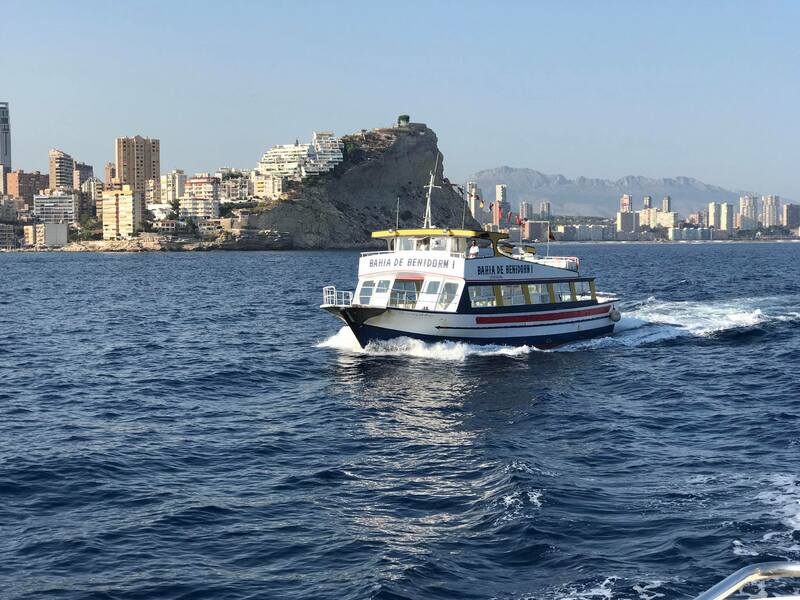 The first boat leaves the Benidorm harbor at 10am. 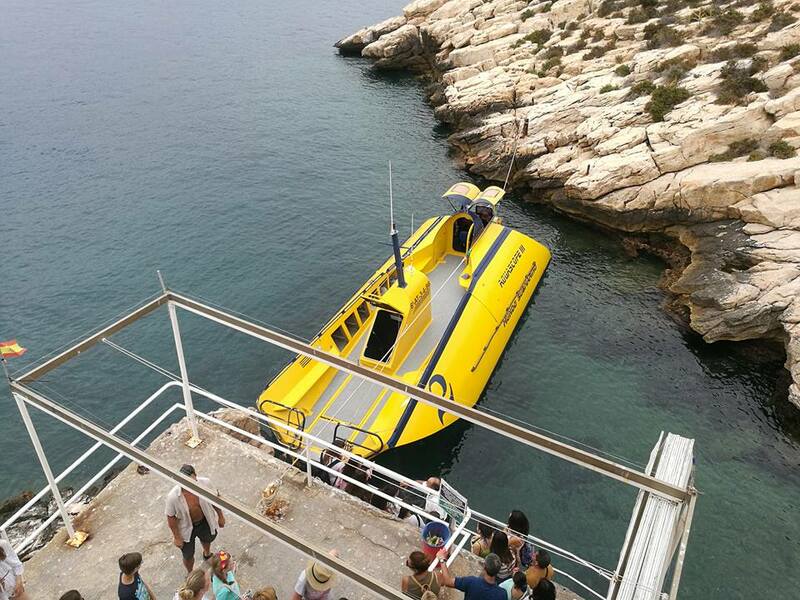 In the Summer, people often spot schools of dolphins whilst on the jouney to and from the island. 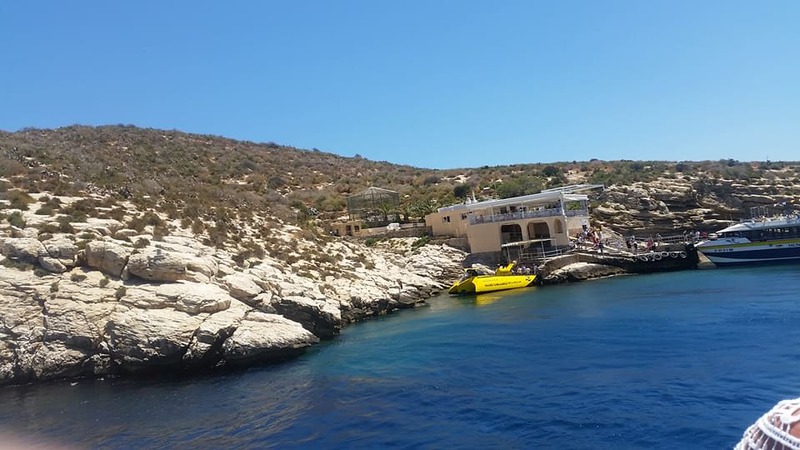 On the island itself, you’ll find a bar / restaurant where you can enjoy a quiet drink or meal whilst taking in the spectacular views. If you’re planning on having a bit of a walk around the island, then remember to wear flat shoes as there are a lot of uneven surfaces. 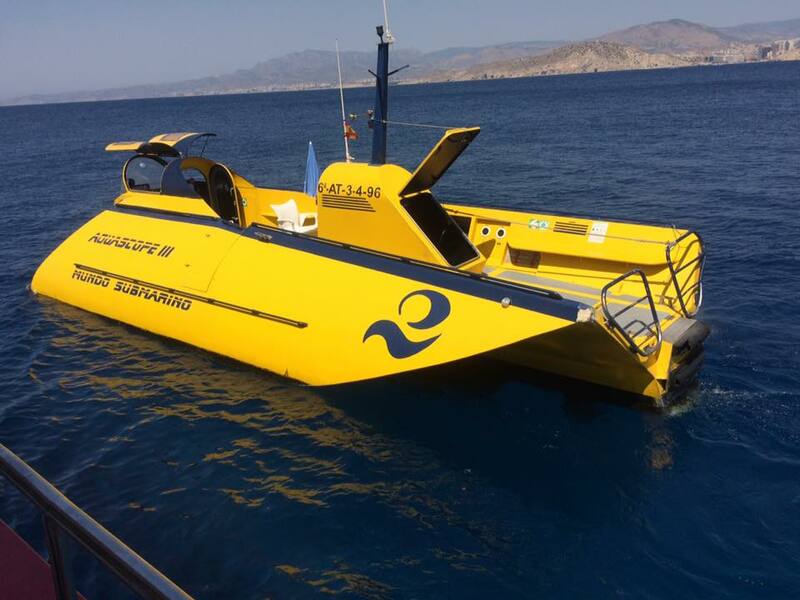 Included in the price of the boat is a ride on the glass-bottomed “Aquascope” which will take you for a tour around the outside of the island, giving you chance to see some of the marine life from underneath the sea. Exchange your voucher for your boarding pass at the Maritimas kiosk on Passeig de Colón before embarking.